Every morning is a new beginning. Sometimes, when you are fortunate, it is just another perfect day. It started in Tigre. 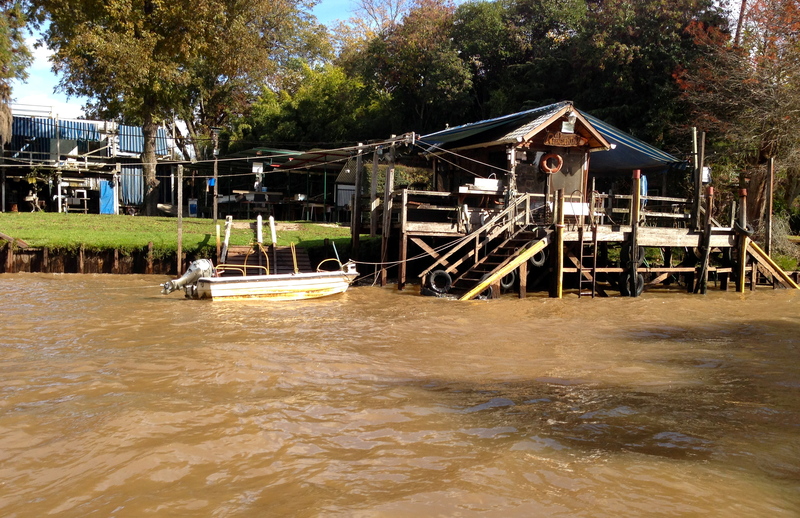 Tigre is still an important timber processing port about a half hour outside of Buenos Aires. 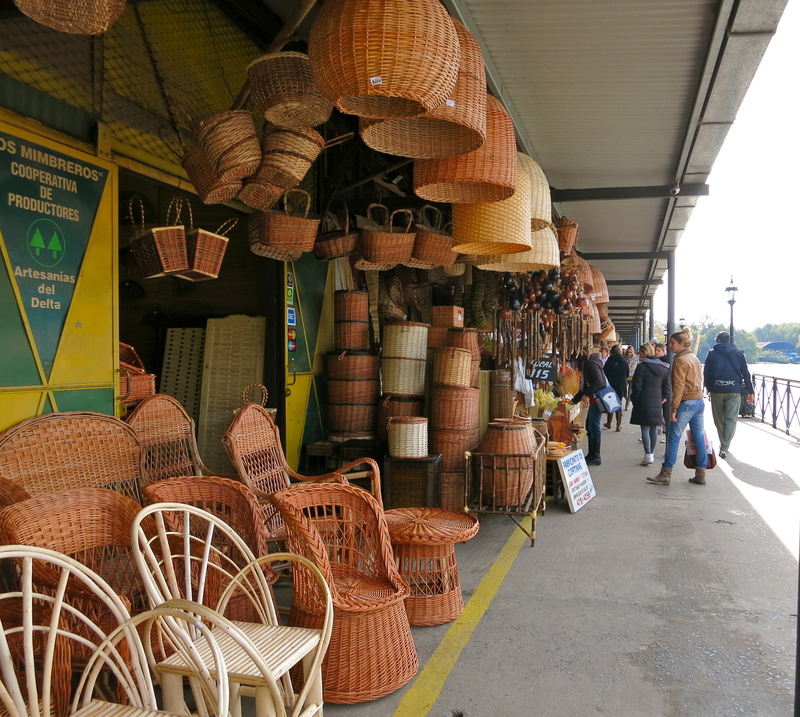 The “Puerto de Frutos” (fruit port) is now a crafts fair located in the old fruit market by the riverside. 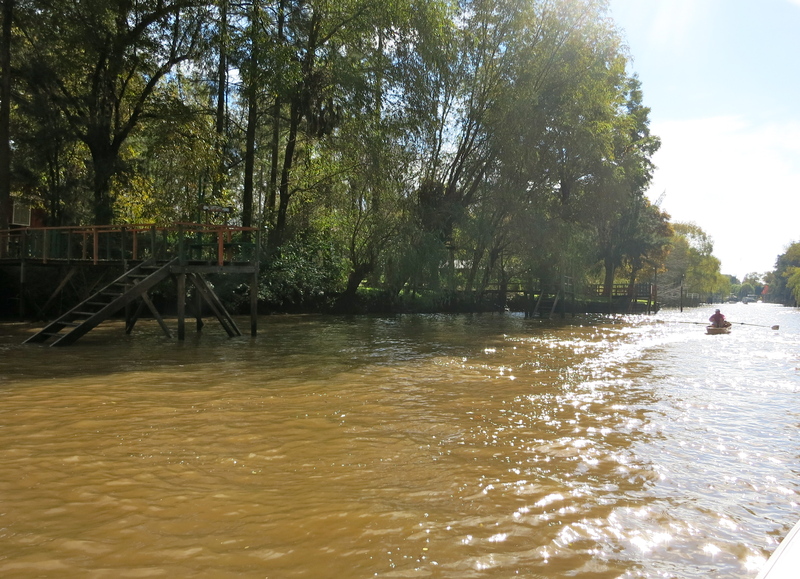 I looked at the brown murky water (it is clean but filled with sediment not pollution) and lush foliage and really wanted to explore. Andres, my tour guide said his boat was nearby. (unplanned). 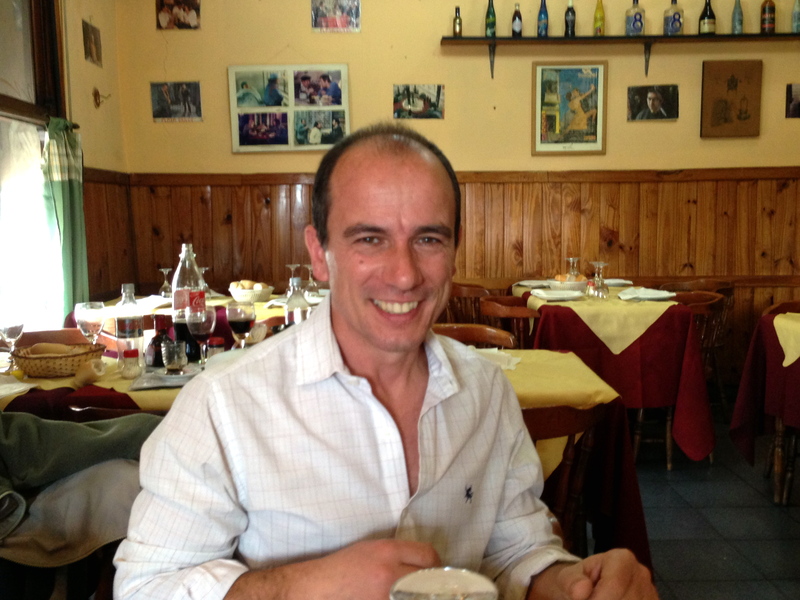 His boat is named Juan D’Arienzo after a famous tango orchestra director. 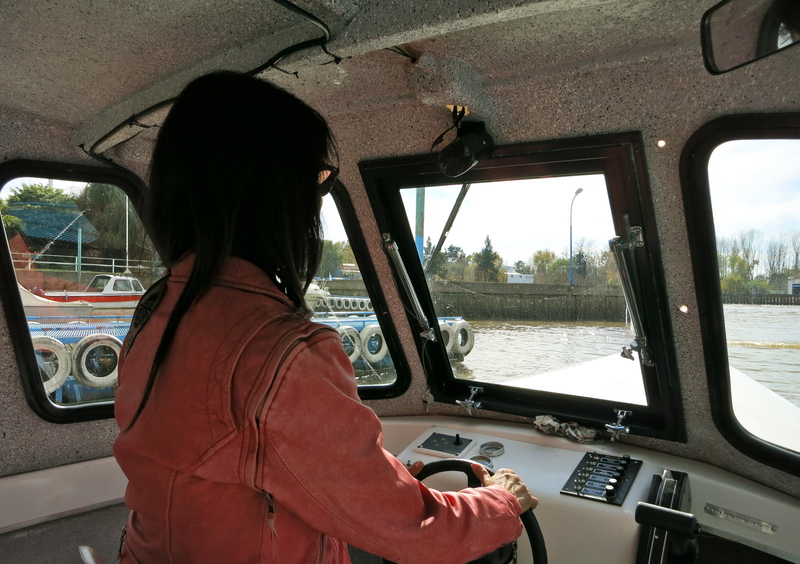 We sailed off through the different rivers of the Delta del Parana. 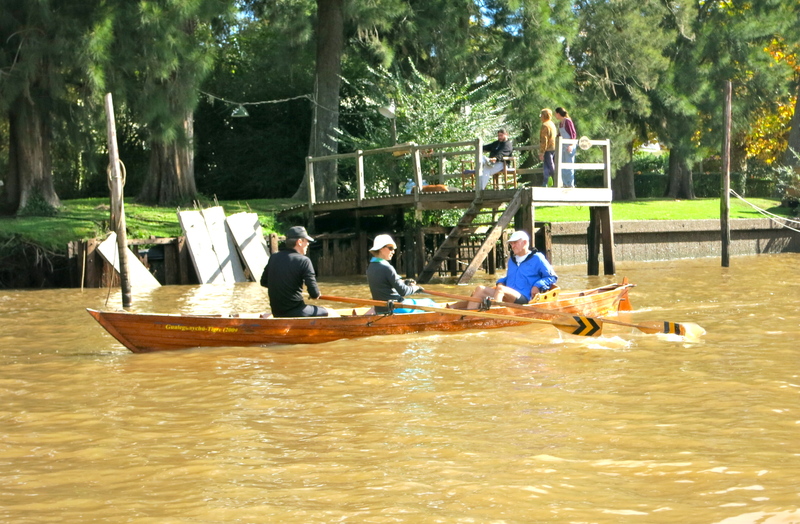 It was Sunday and many people were out in their rowboats. 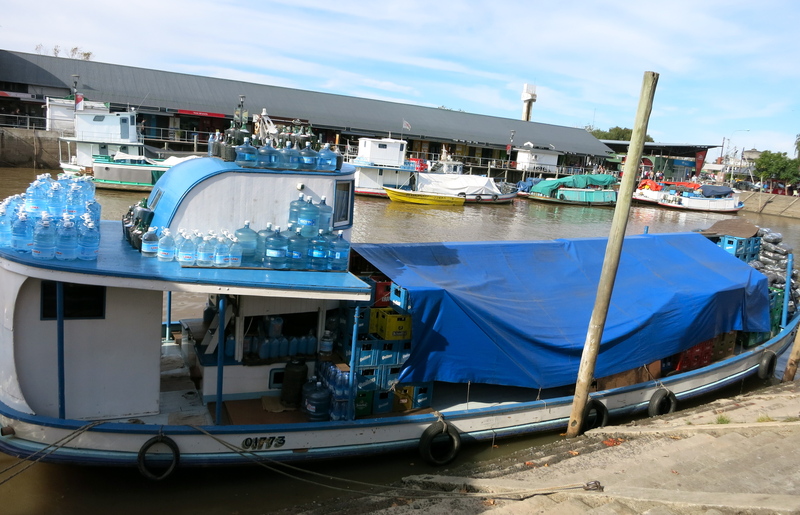 We passed the supermarket boat bringing supplies and also the public bus boat. We saw the church and school and many of the homes on the islands. 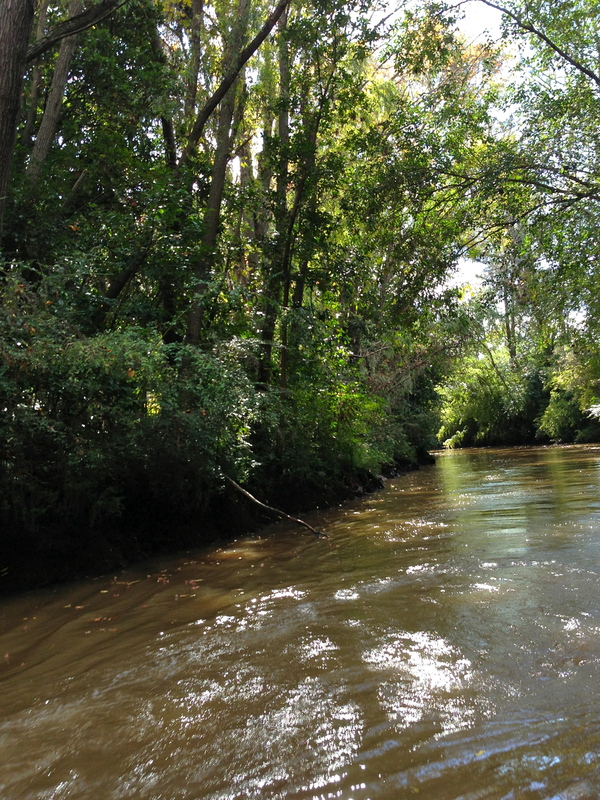 I loved being on that river, It was a calm and peaceful day but I knew it could change in a minute with a rainstorm, wind or dry spell. Are we like that also? Always moving and then changing when things happen? Tres Esquinas means three corners and is named after a famous tango. 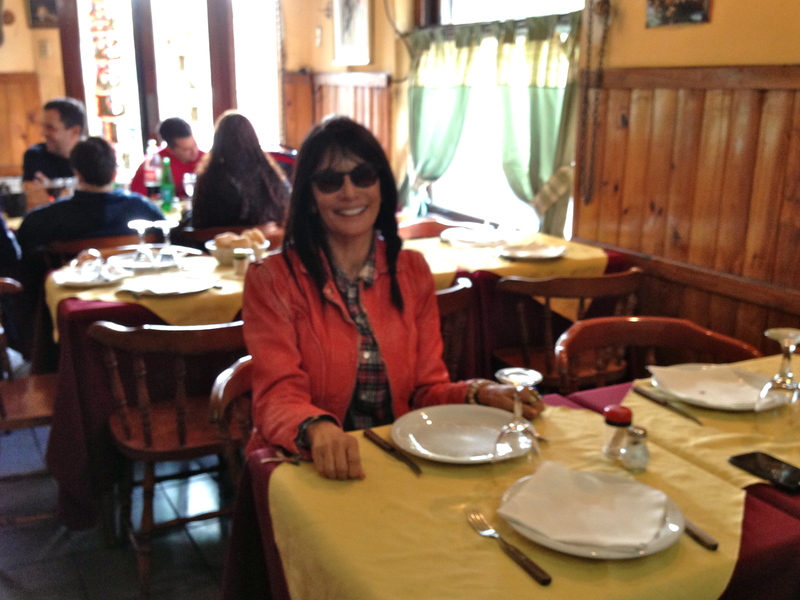 The restaurant is located in Barracas, a working class barrio in Buenos Aires . It is definitely a local place to have steak and empanadas. It was filled with families having their large midday meal. 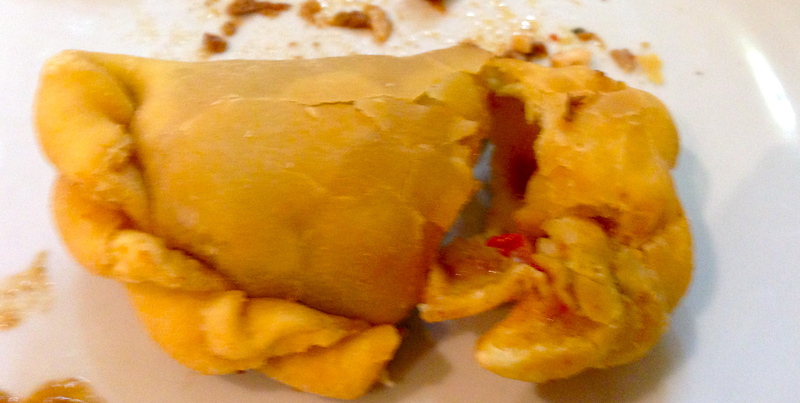 We had a couple of empanadas each. They were muy sabroso. I think it was about two dollars. (I am bad at conversion) delicious and economical. 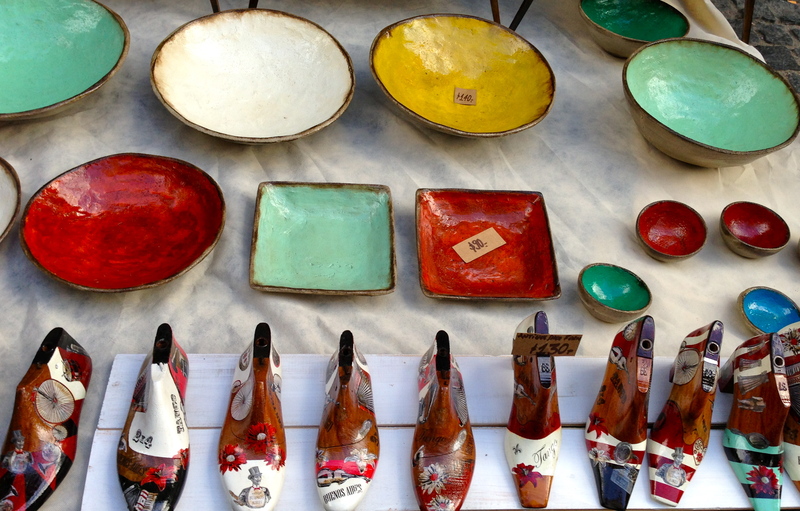 I love outdoor markets but the Sunday antiques market in Plaza Dorrego in San Telmo is a phenomenon. 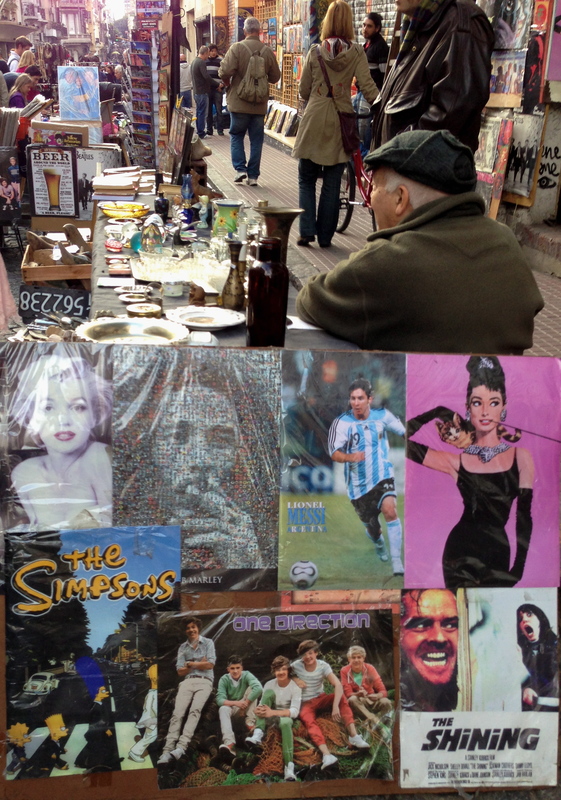 The antiques are around the plaza but the shopping continues with arts and crafts vendors for many blocks. It is curbside capitalism at its finest. 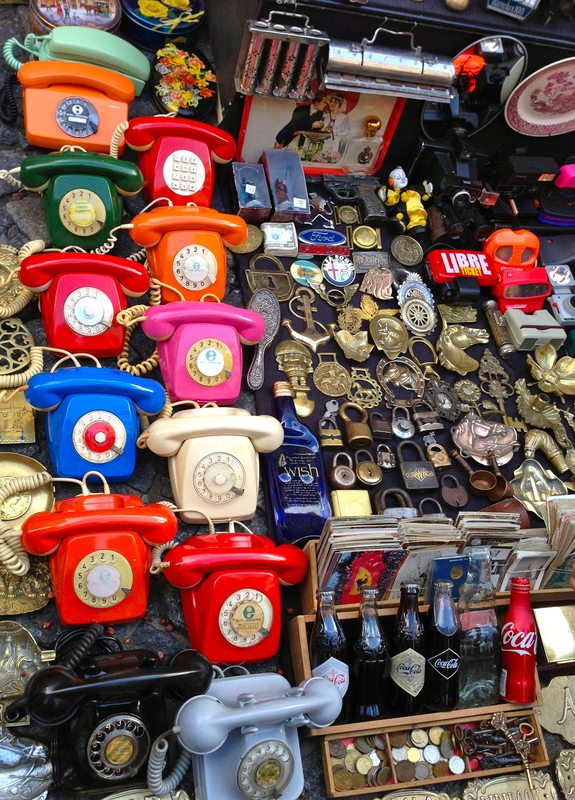 There is so much to see – vintage soda water bottles, old telephones, mate cups and kitchenware are on display everywhere. There is also a produce market. 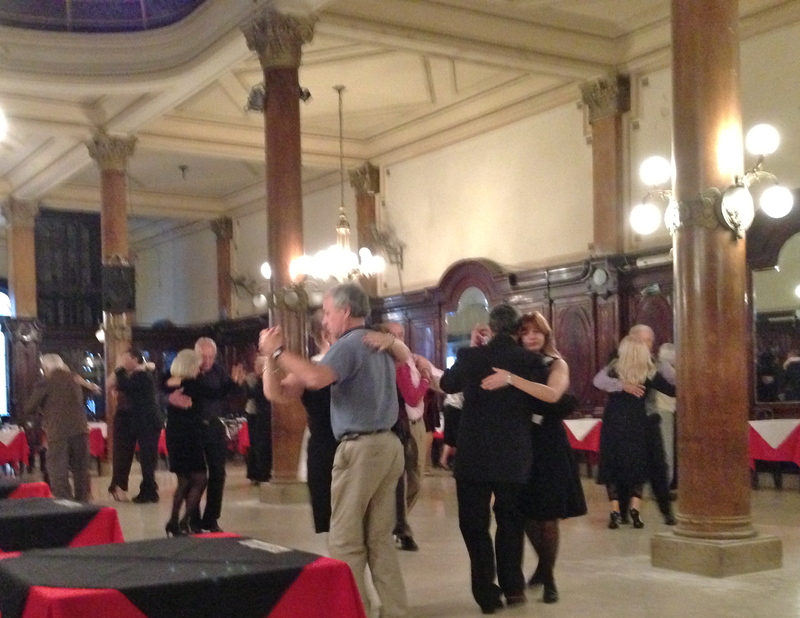 Tango dancers are on every corner. 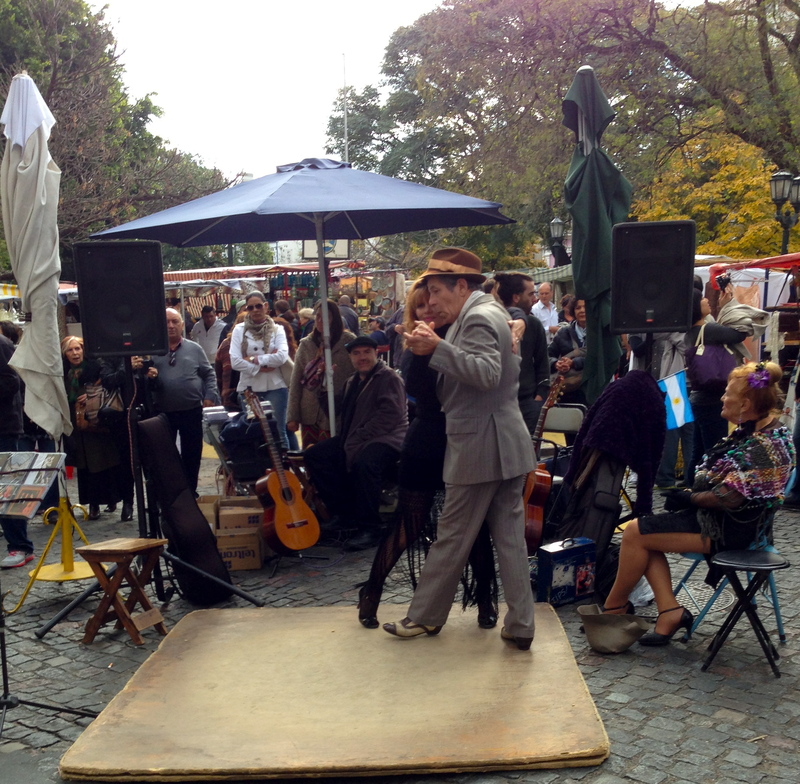 It seems as if everyone in Buenos Aires is here, shopping or hanging out. It was overwhelming even for a professional shopper like myself and so much fun to see. La Confiteria Ideal did not start as a tango hall but as a pastry café in 1912. In the seventies it became a venue for concerts and many famous people performed here. But it the nineties it became a tango hall. 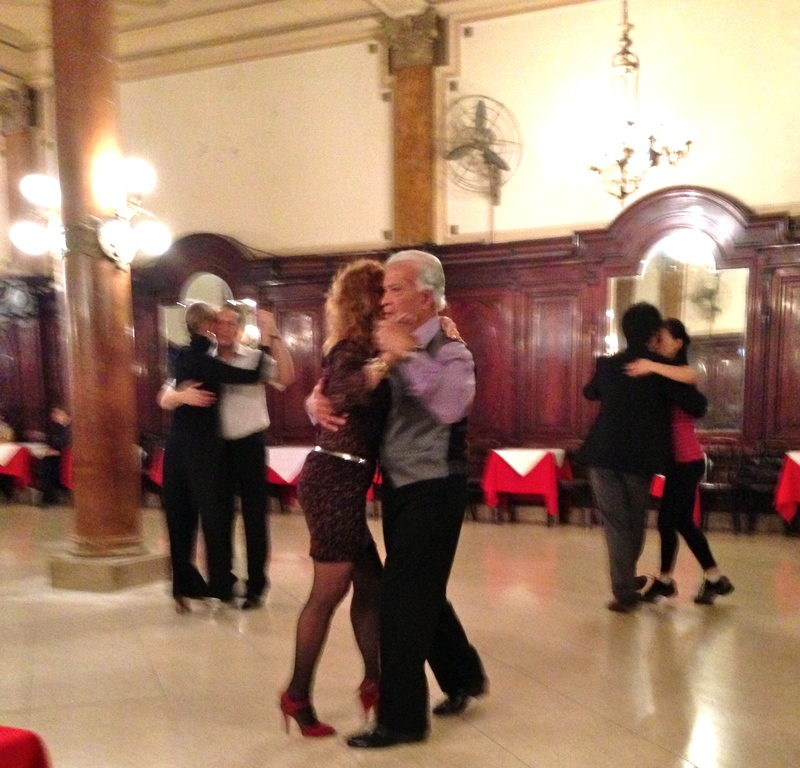 It has been the location of many tango scenes from movies. Its faded glamour was a perfect background for the faded glamour of the tango dancers I saw that day. I was there on a Sunday afternoon . They dance from three until nine. 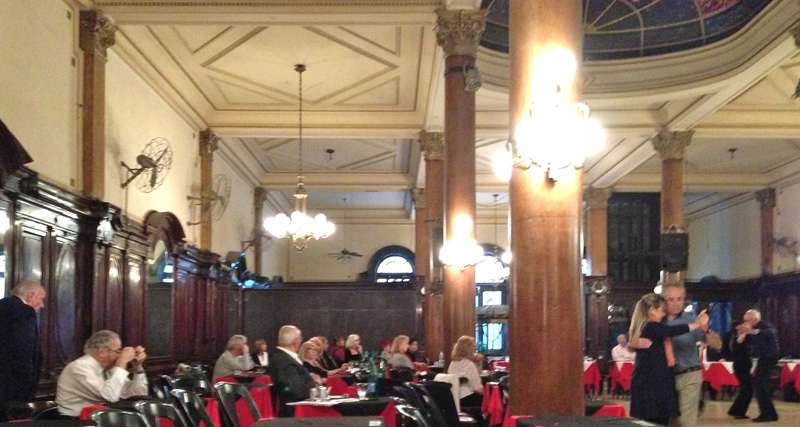 This is very early for a milonga (place where people gather to dance tango) which doesn’t usually start until eleven. The dancers were mostly older and seemed to know each other. They had come here for many years. The men sat on one side and the women on the other. The men signal silently for a dance across a crowded room with the nod of their head, a wink, or a raised eyebrow. The older generation danced with the awkward sensual grace of people whose bodies no longer moved the way they used to but their soul remembers. Tango is about emotional connection and trust. There’s a saying in Spanish that captures the importance of the embrace in tango: “El abrazo es mas importante que el paso” (The embrace is more important than the step) ). In the embrace there is trust without intellectual analysis. There was a lesson in watching these older people completely submit themselves to the dance and the moment. There was no before and no after -simply dancing.